A dermatologically tested clay mask clinically proven to unclog pores, control shine and remove impurities caused by pollution. Specifically formulated for oily, blemish-prone and sensitive skin in both adults and teenagers. Clinically proven to unclog pores, limit shine and cleanse even the deepest impurities caused by pollution without drying the skin. The dermatological clay absorbs sebum and impurities while preventing causes of blackheads. Clearer skin in 4 weeks. Enriched with argilla & kaolin, argilla absorbs excess sebum from the skin's surface without drying or causing inflammation of the sebaceous glands. Kaolin helps to remove sebum from deeper skin layers - helping to mattify skin over time. The mask also contains 5% Panthenol B which helps soothe and calm skin after sebum-extraction, reducing the risks of over-stimulating the sebum glands. CellubeadsTM help to remove impurities from the skin in a deep cleansing action. They have a magnet-like ability to absorb even the smallest and least visible impurities in the skin, like those caused by pollution. Effaclar has been rigorously dermatologically tested to ensure it is suitable for use on even the most sensitive skin. The minimalist formula contains no parabens, no preservatives, no soap, no colourants and no lanolin. It is hypoallergenic and non-comedogenic (won't block pores). Apply a thin layer of the mask to your face and leave to dry for 5 minutes. 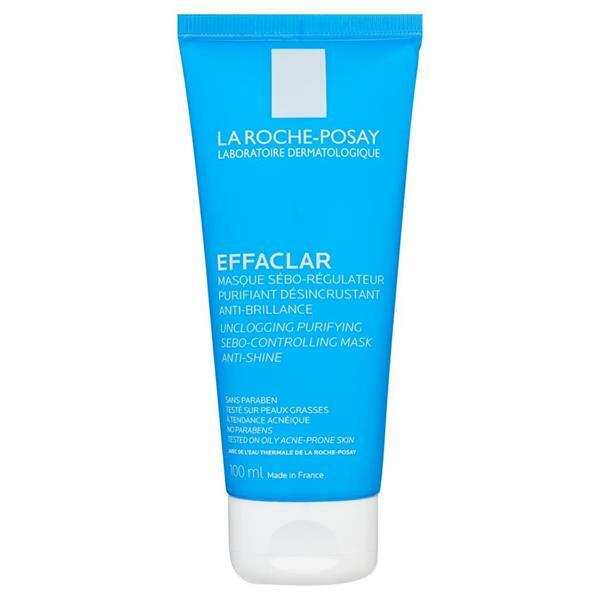 Wipe off gently with La Roche-Posay Effaclar astringent lotion or alternatively, remove with cold water and a towel.